We met nice people in the Camino. We usually shared the trail with other pilgrims.The lodgings were great, the photos you can see in the website of Mundiplus are real. There were no problems with the transfer of our baggage. Spanish food is wonderful and really tasty. Breakfast enough for most of the day. I can recommend Viajes Mundiplus without no doubts. Thank you. Incredible and unique experience from Roncesvalles. Beautiful landscapes. The services provided were perfect. Thank you Mundiplus for your help. We enjoy the pilgrimage and we hope to do another route in 2017. 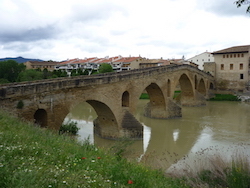 It was an amazing Camino de Santiago. I had a great experience in Spain. Lovely people, good lodgings and good gastronomy. I am very pleased with the organization of this trip. I would recommend Mundiplus to my friends without doubts and would consider taking another tour in the future. Thank you. 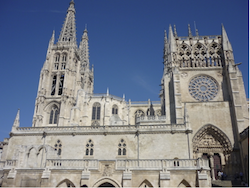 We are a travel agency expert and specialized in Camino de Santiago tours. We have great experience as well as knowledge about this "ancient path". We are available to everyone who wants to discover and experience the fascinating journey, which has been traveled by millions of people looking for "something"
You can do the Camino de Santiago on foot or by bicycle. We design your pilgrimage to Santiago de Compostela, alone or with your friends or family, in the dates you prefer. The French Way (Spanish: Camino Frances), which starts in Roncesvalles. The second most popular route, in terms of the number of pilgrims who walk El Camino, is the “Aragonese Way” (Spanish: Camino Aragones), which starts in the Somport pass in the Pyrenees and joins the “French Way” at Puente La Reina. 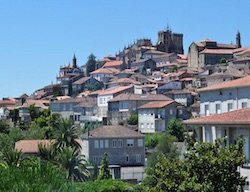 Other important route is The Portuguese Way (Spanish: Camino Portugués), whic starts in the village of Tui. The English Way (Spanish: Camino Inglés) which starts from Ferrol or La Coruña. The Primitive Way from Oviedo. The North Way from irún. However, due to the resurgence and popularity of El Camino, new pilgrimage routes to Santiago de Compostela are constantly being added.